New looks at the Immersive Star Wars Hotel Revealed! Starwarsnewsnet.com reports that Disneyparks.disney.go.com has revealed some videos of concept art images of the Immersive Star Wars hotel! This first-of-its-kind resort will combine luxury with complete immersion into an authentic Star Warsstory. Guests’ journey through space will start when everyone departs together for a multiday Stars Wars adventure by boarding a starship alive with characters and stories that unfold all around them during a voyage through the galaxy. At the resort, guests immediately become active citizens of the galaxy and can dress up in the proper attire. Every resort window will also have a view into space. 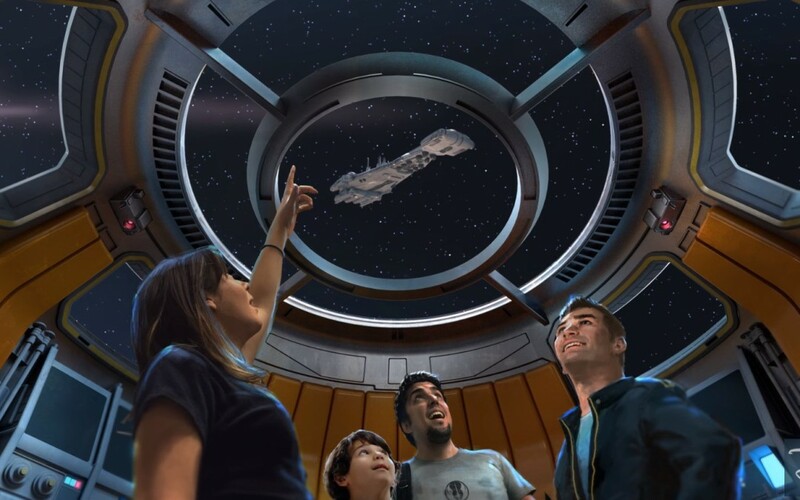 The opportunity for immersion at this resort will also stand out among all Disney resorts around the globe, as it will be seamlessly connected to Star Wars: Galaxy’s Edge at Disney’s Hollywood Studios, allowing guests a total Star Wars experience.